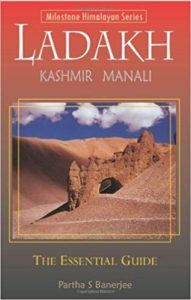 This book is really helpful for planning your trip to Ladakh and also for what to prioritise once you are there. The author waxes poetic as well, which makes this book more than just a travel guide. It is a real pleasure to read it from front to back! It has excellent information about the spiritual aspects of the various monasteries and Gompas, including their histories. The book also lists hotels and home stays with the various price ranges, as well as restaurants and places of interest to visit. “A thin irregular line scratched on a bare brown hillside: a path between two distant villages. Two men in long gowns, driving two laden donkeys: the only traffic. Dwarfed, miniaturised by the immensity of the mountains, wild tangles of them. Rugged, shorn of trees, their naked craggy slopes hued in so many tones, from dark brown to sand grey. 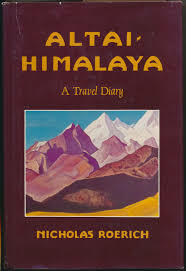 This book, written in the 1920’s is a travelogue par excellence. Nicholas Roerich was a Russian painter of exquisite nature scenes. He was able to capture not only the image but the soul of the scenes he painted. Being a lover of the orient, he travelled by horseback / donkey / and camel to Siberia, Mongolia, India, China and Tibet. His diary is simply like no other. His descriptions of the dangers, the travails, the beauty and the sheer quantity of information about these places is staggering. He managed to go places and get information that was simply not available in those days. His perseverance, despite many setbacks, is astonishing. 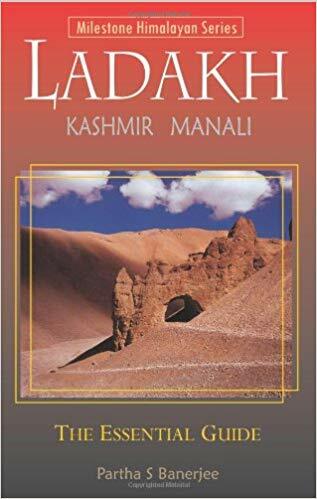 His descriptions of carefully guarded texts about Jesus kept in temples in Kashmir and in Ladakh are revealing in ways that if known about, would bring Christianity to its knees. His revelations about a pre-communist China are astonishing. Through his eyes, we experience Tibet in its virgin form before it was open to outsiders. His writing creates a bridge into the past and simultaneously awakens us to our own future possibilities, a future envisioned by him as a time when beauty and wisdom prevail. “Altai-Himalaya,” though penned on horseback and in the tent, under conditions the most difficult, is as much more, and as much richer than the ordinary diary of travel, as his paintings of the Himalayas are more than a literal transcription of some of the earth’s most magnificent scenery. For in whatever medium Roerich works, or in whatever he is expressing, there shines forth not only the artist, but the embodied intelligence— the man, the whole character of the man. Though sincere and simple, it is a character compounded of such unusual elements as to be on its esoteric side uncomprehended.